Kernaghan, Lois. "Albion Mines Railway". The Canadian Encyclopedia, 04 July 2016, Historica Canada. 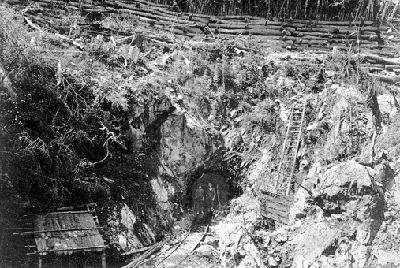 https://www.thecanadianencyclopedia.ca/en/article/albion-mines-railway. Accessed 25 April 2019. Albion Mines Railway, Pictou County, NS, was the second steam railway in Canada and the first to use a standard gauge and split-switch movable rail. Built by the General Mining Association, 4 km of track were opened with great celebration on 19 September 1839; when fully operational in May 1840, the line covered 9.78 km, 123 m from Albion Mines (Stellarton) to a deep-water terminus at Dunbar's Point (Abercrombie). Three Hackworth locomotives, Samson, Hercules and John Buddle, serviced the line.Their reliability and efficiency marked the Albion Rail Road as the first really effective steam operation in Canada. 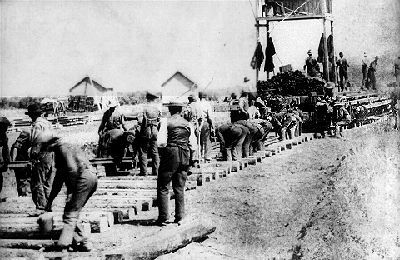 The line became redundant in 1886 and was torn up in 1889, although about 1.5 km remained and was used for hauling coal until June 1961.